Welcome to the Gateway to the West! 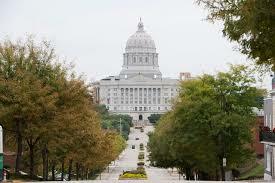 Whether you are traveling by plane, train, automobile or… all three; Dreams to Reality is ready to host the 2016 Alliance of Career Development Nonprofits (ACDN) National Conference and make your conference dreams come true here in Jefferson City, Missouri, the “Show Me” State Capitol and most beautiful small town as designated by Rand McNally. We are grateful for the opportunity to collaborate with ACDN and host the 2016 National Conference and showcase our great state, city and Dreams to Reality boutique! Our city is small but mighty, yet no doubt we’ll have you wishing for a future extended stay in our quaint little city. The founders realized women interviewing for positions within their offices were often underdressed or even sharing the same suit for the interview process. The nonprofit was established and protocols set in place, gifting donated clothing wardrobe pieces to women through a referral process. Initially this was a very limited effort working out of the closet of one of the founders. In sixteen years Dreams to Reality (DTR) has grown, expanding its location and services from a closet to a building with over 3000 square feet offering its clients not only interview clothing but a week’s worth of clothing suitable for many work environments. In time, we hope to expand services to include interview and job building skill set classes as well as offering men’s apparel and education services. DTR’s clothes inventory is secured exclusively through private clothing donations. DTR employs one part-time Executive Director and is guided by a board of 16 members. The agency is open two days a week, with 23 incredibly dedicated volunteers assisting on a rotating basis. Working with over 52 agencies within 9 counties, Dreams’ was able to help 291 clients in 2015. The boutique secures its funding through its retail sales, fundraisers and United Way support with an annual budget of $32,000. Not unlike many of its sister organizations, DTR clients are incredibly grateful for the services the organization is able to provide. Working hand in hand with community social services and businesses, DTR has been able to help women in transition in all walks of life by not only providing appropriate interview and work attire, but helping them to be confident and prepared for career and employment. The reward? A better quality of life for themselves and their families. And who has been there along the way to help grow the organization? None other than the Alliance for Career Development for Nonprofits (ACDN). Affiliating with ACDN and attending the national conference is an amazing opportunity to network with an incredible group of talented individuals with similar goals and ideas. The conference agenda is on point, addressing a multitude of pertinent issues facing like organizations across the country. Once you attend, you will never want to miss again! And, what a fantastic agenda is set for this year’s ACDN conference! Amazing local featured speakers, complimented by presentations from our very own talented ACDN member presenters will share their insights and expertise in the field of serving women and men in transition. By special privilege, we will dine in the Capitol Rotunda, a location of grandeur and inspiration Friday night with extraordinary shopping at one of the city’s finest boutiques! 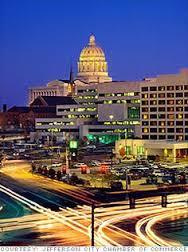 There is so much to see and do in Jefferson City. Stroll through historic downtown shops and eateries, check out Old Munichberg, tour the historic 185 year-old Missouri State federal prison or perhaps ride bikes along the river on the Katy Trail. See what we have to offer! Sweeping views of the Governor’s mansion, State Capitol and fountain memorial gardens along the bluff of the Missouri river will take your breath away. Traveling from the south? Stop by the ever famous Nashville of Missouri, Branson, MO, to listen to some of the nation’s finest country music stars. Those of you who will be traveling through St. Louis may want to make a stop at the iconic feat of engineering: the St. Louis Arch-Gateway of the West completed in 1965, it is the tallest man-made national monument in the United States. And don’t forget Anheuser Busch brewery in St. Louis as well. It is the largest beer producing plant in the U.S. and the best selling beer brand in the world. Passing through the Lake of the Ozarks area? Stop by and take in a breath-taking view of the 75 year old man-made lake and Bagnell Dam. The shoreline of 1,150 miles is longer than the coastline of California. If you are coming from Kansas City, don’t forget to check out the 2015 World Series Baseball home of the Champions, Royals Stadium or check out Country Club Plaza, built in the 1920’s. It was America’s first suburban shopping center. It now boast 250 shops and restaurants. Kansas City has more fountains than any city the world with the exception of Rome. Stop in Fulton, MO and take in the austere piece of the Iron Curtain Wall from Germany at Westminster College where Winston Churchhill delivered his famous “Iron Curtain” speech in 1946. The Westminster Abby Church onsite was brought over from England and reconstructed in Churchhill’s honor. Come share the best of what ACDN has to offer and take the extra time to learn about the amenities and history of Jefferson City and the state of Missouri. We can’t wait to welcome you here!! We hope that you can join us in Jefferson City, September 15-17th, 2016. Why not guarantee your registration now and receive the early bird discount?